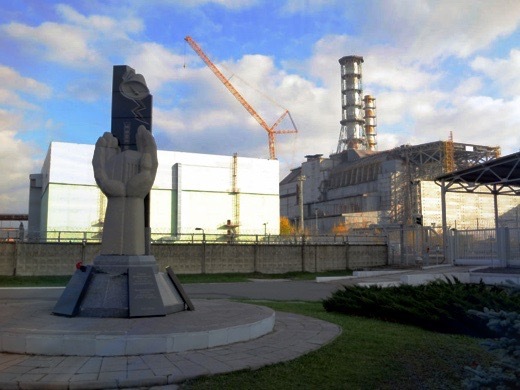 SUBHEAD: Chinese to build world's largest PV array at site of nuclear meltdown in the Ukraine. Image above: Memorial statue in front of the sarcophagus over the remains of the abandoned nuclear reactor building at Chernobyl. From (http://inhabitat.com/china-is-building-a-giant-solar-plant-at-chernobyl/).